AudioVisual ManagementYour A/V Partner - Anywhere, Anytime! and provide premium and dedicated support to our customers. We started this company because we love technology and satisfying customers, which is why we strive to provide the best service we can. We will free your time, allowing you to focus on the multitude of other needs for your meeting! 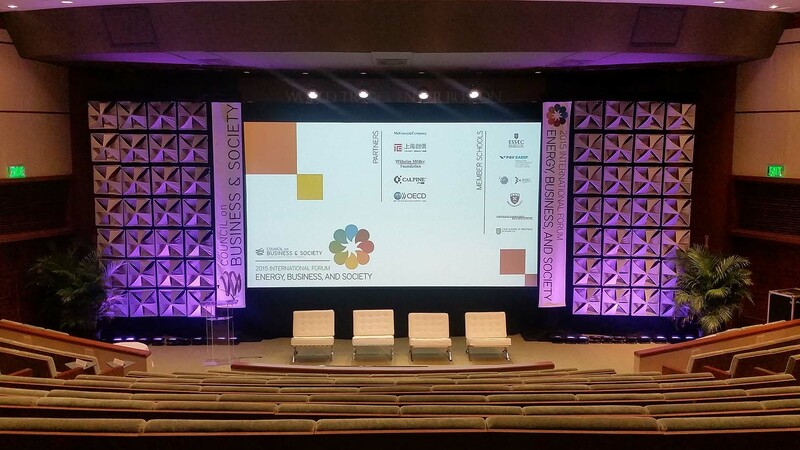 We are a full-service audiovisual management and consulting company, servicing corporate meetings and events by providing technical know-how and management, av equipment rental, production design and consulting. We do it with unmatched professionalism, helping you make informed decisions that will save you money and time. 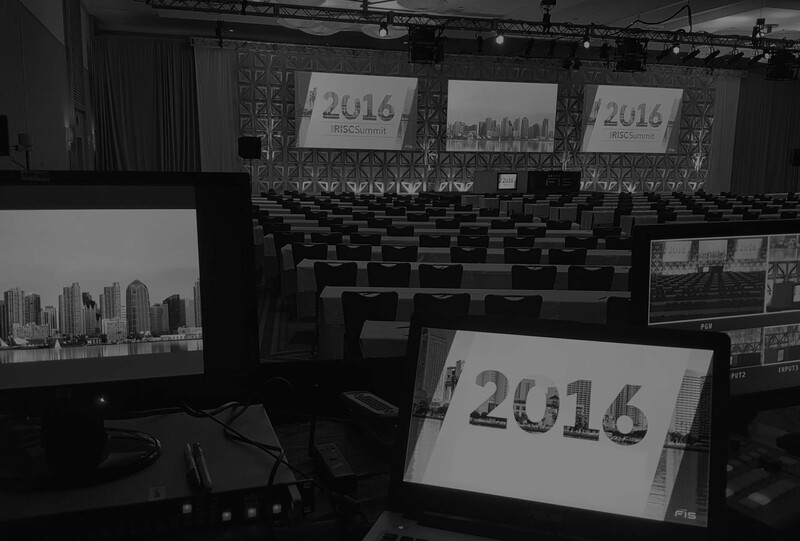 Meeting planners and event managers just like you have trusted us, and our 20+ years of experience, in technical audiovisual management and production. 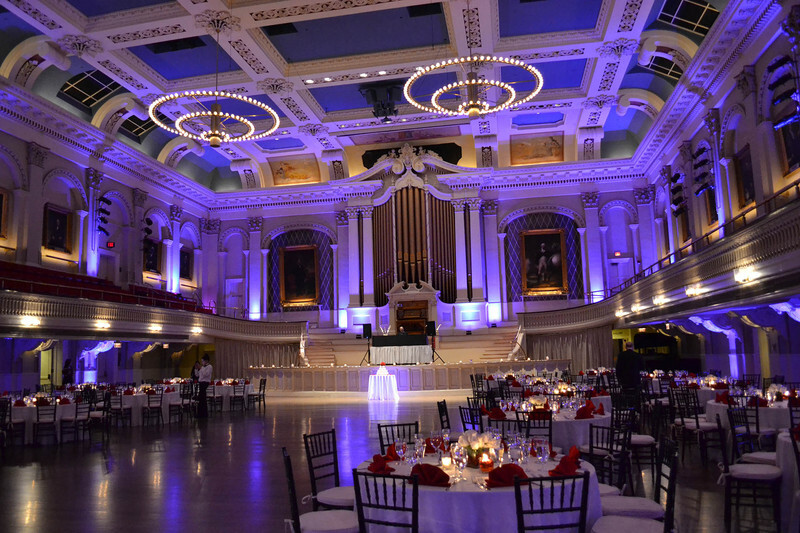 You can feel confident in our abilities to make your next event a great success. Whether your meeting is for investor relations, compliance, an advisory board, investigator meetings, continuous medical education (CME), pharma – or speaker training, sales events, trade show, private party, weddings and more – we can assist you and your staff anywhere in the world. We provide top-of-the-line audio visual equipment and highly-skilled technicians. 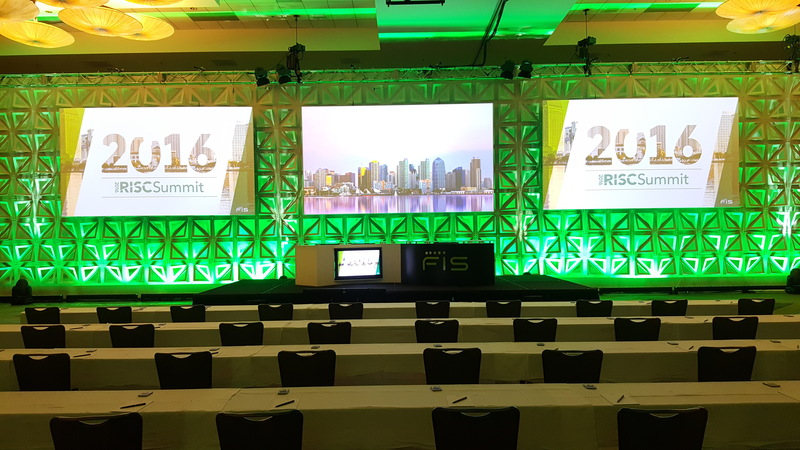 Our audio and video capabilities range from the basics like speaker and microphone rentals to high-definition 2.9mm LED video wall technology. We are here for you, and only you, on all your events. Our team is dedicated to your team only! We are only as good as our last meeting. Making sure every one of your needs is taken care if is our priority. Our reach is far, passports are ready. Across America and throughout the world we are here for you. Big events or small meetings - all needs are different. We know ad boards - we have literally done 100s. We are always on the road, sometimes in other countries. Large or small, we have it - or can get it! Not all meetings require a unique, cutting-edge, design. Most are straight forward, no frills, meetings that need the basic, but need them to be done perfectly. 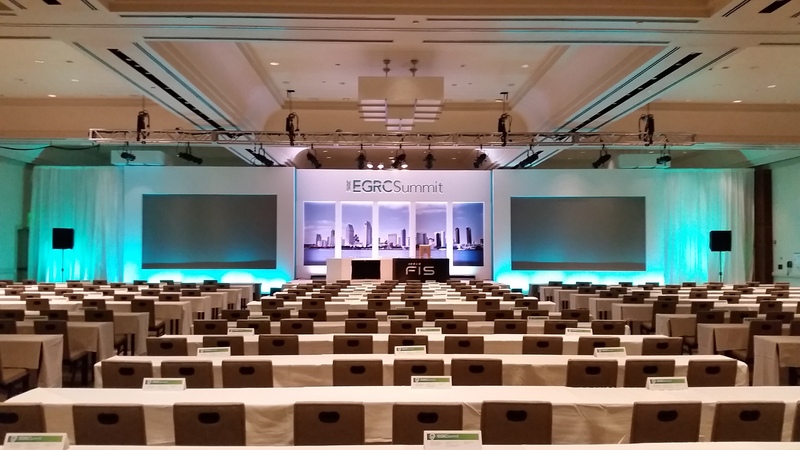 Whether your meeting is an ad board for 15 doctors, u-shape setup, conference microphone system, and crisp projection, or a national sales conference for 1000 reps and guest, where you need 100’ widescreen projection, stage lighting and a sound system that would impress any rock star, then we are the perfect choice. Our clients are just like you! Let us do the work so you don’t have to! Ad boards might be the most common type of event we do. 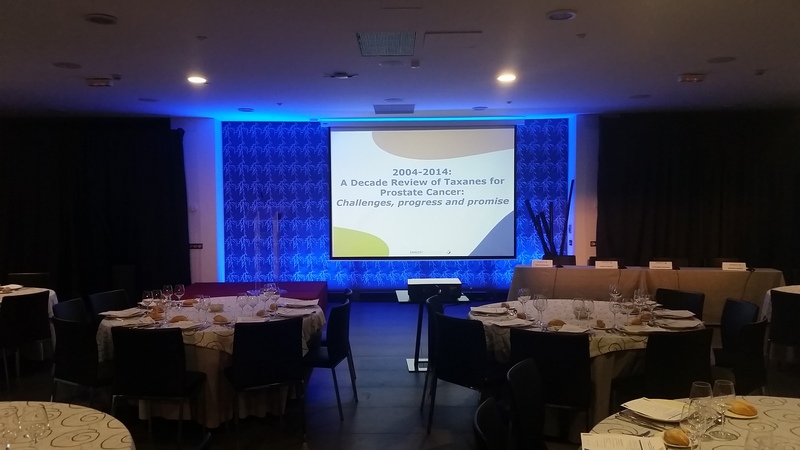 Over the years we have successfully produced and executed hundreds of advisory board meetings in hundreds of locations around the globe. All Fortune 500 companies share a common need: they need to share and gain advice from executives, partners and customers. Whether your needs are for a pharma, finance, engineering or healthcare, to marketing, technology or retail, our know-how will help you successfully put on any meeting. Let us do the work so you don’t have to! We live in a global world these days and that is apparent more than ever in the meeting and event industry. Our clients are just like you and they have the same needs regardless of the location of their meeting. Over the years we have provided top-notch service and gear for clients around the globe. We have worked in Mexico, Argentina, Brazil, Canada, Italy, Germany, Ireland, Switzerland, France, The Netherlands, Belgium, Great Britain, Japan, and even on a cruise ship in the South China Sea. Our experience working in foreign countries has taught us the little things necessary to ensure that any event goes smoothly. Our techs speak multiple languages and have passports ready to go! Technology changes – we all know that! But how much time do you really have to stay up on the latest and greatest gadgets? Today we can do more than ever before. This is not your father’s slide projector we are talking about. Our technicians are proficient in projection mapping, widescreen projection, video walls, wireless microphone systems, webcasting, HD vs 4k video, LED lighting and any other technology you can think of. We stay up on the technology so you don’t have to! Let us show you new technologies that can bring a dynamic change to your meetings. What are they thinking? We can test them and tell you. Live streaming, testimonials, educational or promotional. The core of what we do. We do the work so you don't have to. Are They Getting Your Message? 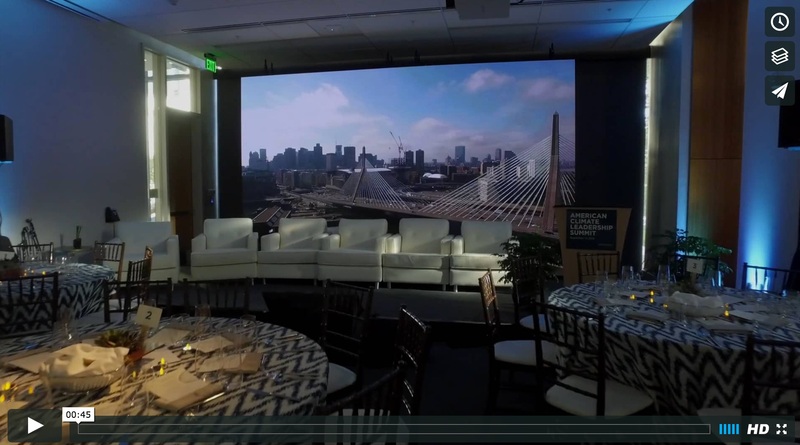 We can handle all aspects of video creation for your meetings. Before, during, or after your event doesn't matter to us. We can help create video to be played throughout your event, during your event or to be used on-line for use at a later date. Our clients have trusted us to create training videos, client testimonials, promotional videos and content videos for use during presentations. We have exceptional teams of videographers, editors and creative directors from California to New York and everywhere in between. We can meet your needs at any location or event! This is our opportunity to show you how we separate ourselves from our competition. Our job doesn’t begin and end with renting AV gear, setting up and connecting AV equipment then taking it all down. Once we have made the decision that the meeting room and all of the a/v equipment has been setup, tested and retested, we move on to the next phase of our job: making sure your every need is taken care of. We don’t say ‘no’ and we do everything with a smile. Keep in mind that we are you partner – not just some company you hired to set up flip charts and microphones! We understand that the best planned meeting can have obstacles and problems pop up once on site – and that means we have nothing less than an opportunity to help! LED Video Walls Are Here - Let Us Show You! 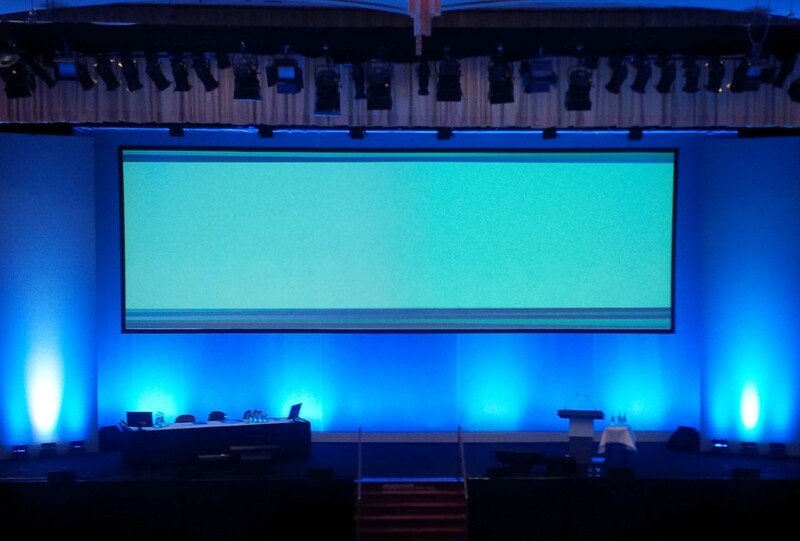 LED Video walls are the next big thing in live meetings and events - but don't take our word for it - see for your self. 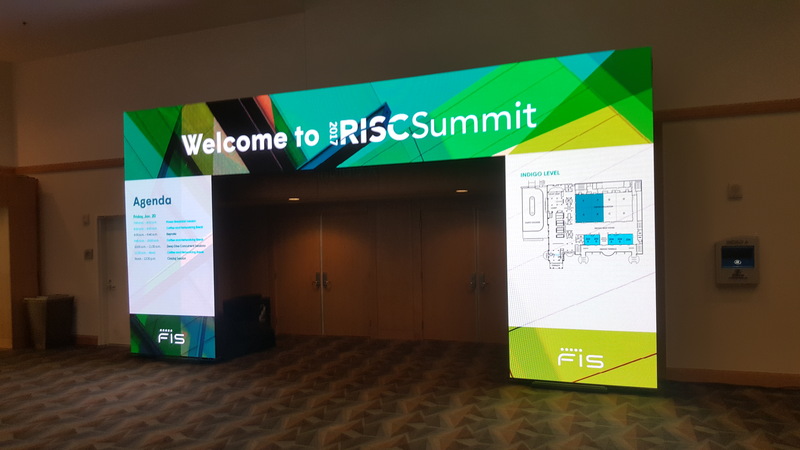 Show your products, share your power point and make it look better than ever with 1.6mm, 1.9mm or 2.9mm LED video walls and blow away your attendees with a crispness to video they have yet to see! We can service your booth for any trade show or make your next corporate event look better than ever! Flat rate, any city, any hotel. We ship, we set, you save. Not allowed to use outside AV? Let us keep in-house AV honest. We are the advisory board specialist. We have perfected the ideal mix of technology, know-how, shipping and efficiency. Our AD-BOARD IN A BOX is the ideal solution for your advisory board needs. We offer 3 main packages with a fixed price anywhere where in America. Manage your AV budget easier than ever by knowing the cost regardless of where your event is. Contact us today to learn about the packages we offer and how much we will save you on all your advisory board meetings! In-house AV companies are becoming more expensive and are doing everything they can do keep you from using your preferred AV vendor. We know it is not always possible to use us on your event. But we can still help you by negotiating your av contract with the hotel provider and save you thousands of dollars. We have help our client save 20% or more on their invoice by keeping the hotel provider honest and eliminating unnecessary charges or gear! This is a win-win situation for you. We only get paid if we save you money. Contact us to learn more about this new service we started offering in 2018. LET US SHOW YOU WHY WE MAKE A DIFFERENCE WHEN WORKING WITH YOU? Learn Why - Click me! Why? Good question. Because understand you have a meeting that is going to start in 6 hours. We understand that we could have planned every detail, that we could have had multiple conference calls and shared 75 emails, but once all of us get on-site, things are different. The printer you ordered isn’t printing as crisp as you’d like. Your hotel contact is not readily available. Nothing is going right and the in-house a/v company isn’t available to help you with last-minute changes! That is “Why Us” and why you need to hire us. Anyone can figure out how to plug in a VGA cable to a projector and anyone can figure out how a microphone can make your presenter sound louder! But very few can, and are willing to, make sure EVERYTHING you, and your team, need is provided and the meeting you are responsible for runs smoothly! A/V can be a headache, but so is food and beverage, car service, delayed flights, needy presenters, unmotivated hotel employees and every other problem you have to deal with on site. 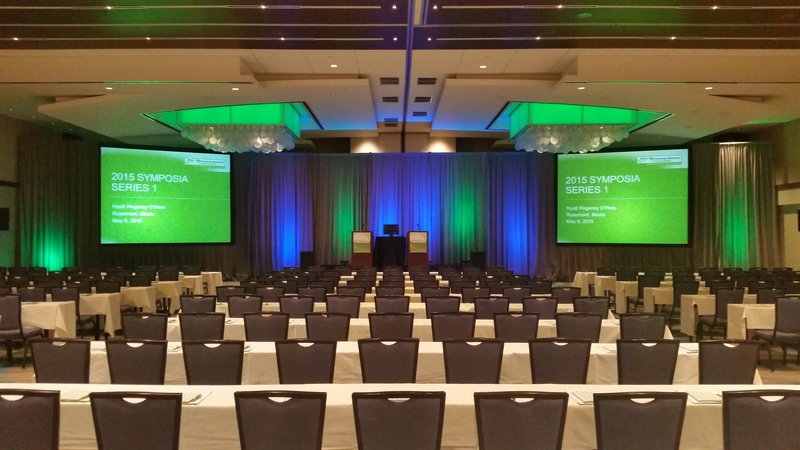 We make it easy for you to focus on other aspects of your meeting without having to worry about a/v. Quick responses with solutions - that will always be a promise to you! If we don't, it won't be done right. If it's not done right, what's the point of doing it? It is the little things that matter. We notice before you do, that's why you don't have to. Forward thinking and always up on technology. We love to brainstorm new ways to enhance your events. We had the fortune of working on a vast number of meeting and events. Thank you all for the opportunity to help. 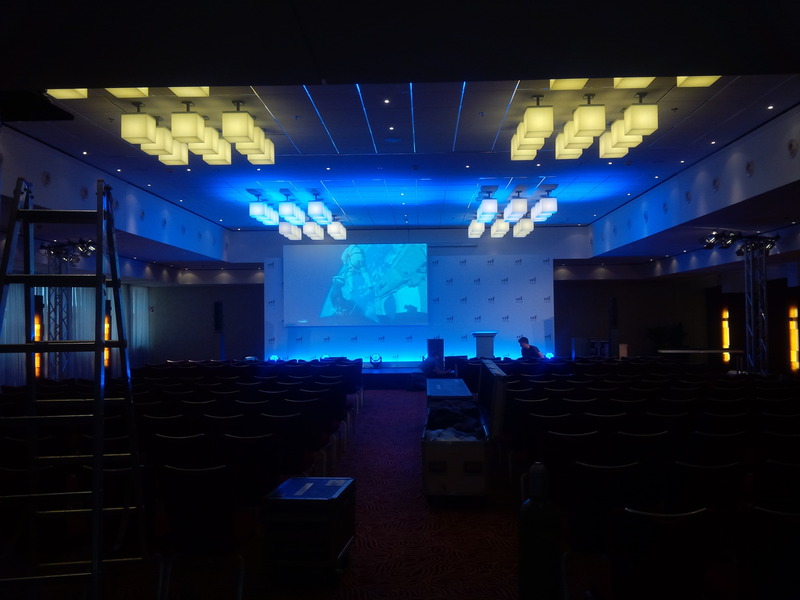 Having the AVMW team on-site is the only way we have found to make sure our conference go smoothly and our AV is perfect! which is why we offer quick and helpful support. Let’s Get in Touch! Copyright 2016 AudioVisual Management Worldwide All rights reserved.